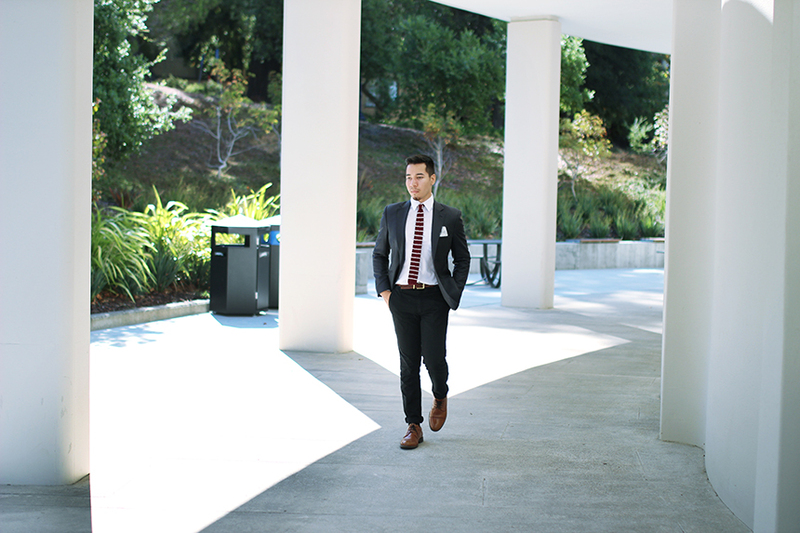 Now more about the outfit: I styled this dapper outfit with the idea that the tie and shoe combination would complement each other. 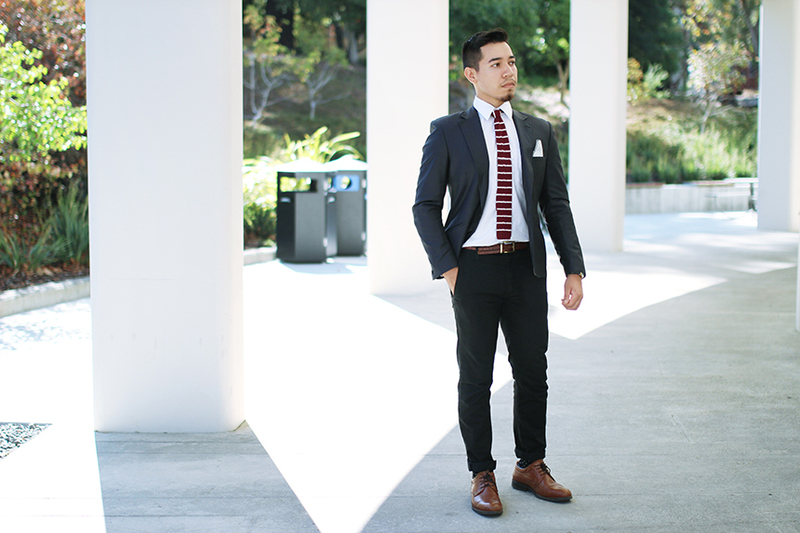 The tie, belt and shoes are relatively warm colors and they contrast exquisitely with cool colors such as navy and white. 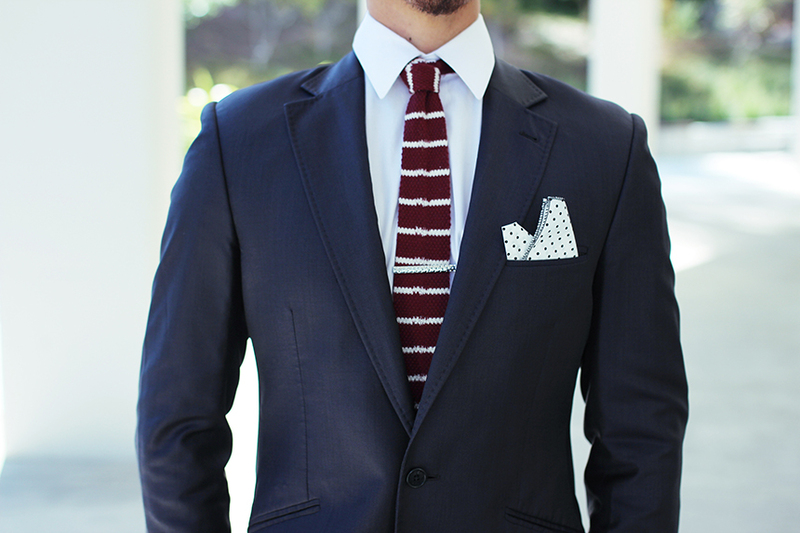 I believe this is the ideal dapper outfit of 2014 and even 15 seeing as knit ties used to be a very popular item. 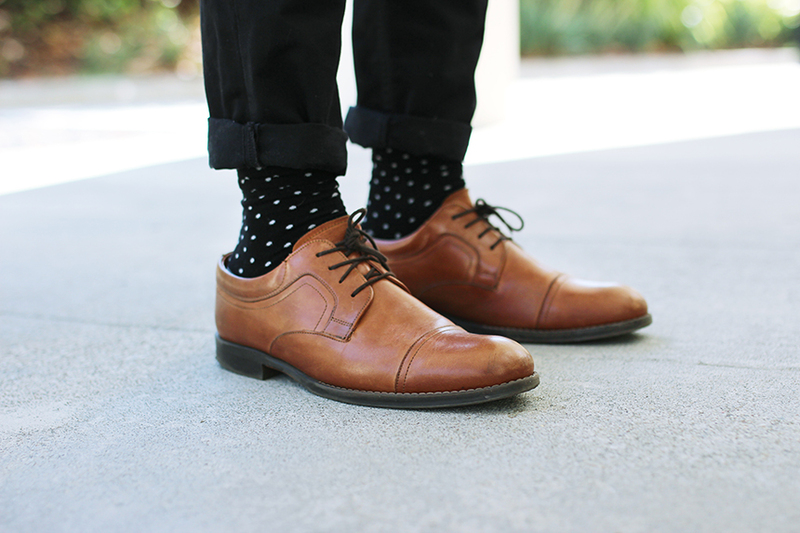 If you're looking to enhance the feeling of looking formal, try adding some pocket square flare in your blazer pocket or perhaps find a pair of nicely patterned socks. I think this outfit works for just about any formal occasion. This a very easy and affordable outfit to put together! You should try it. Well, until next time, ciao! 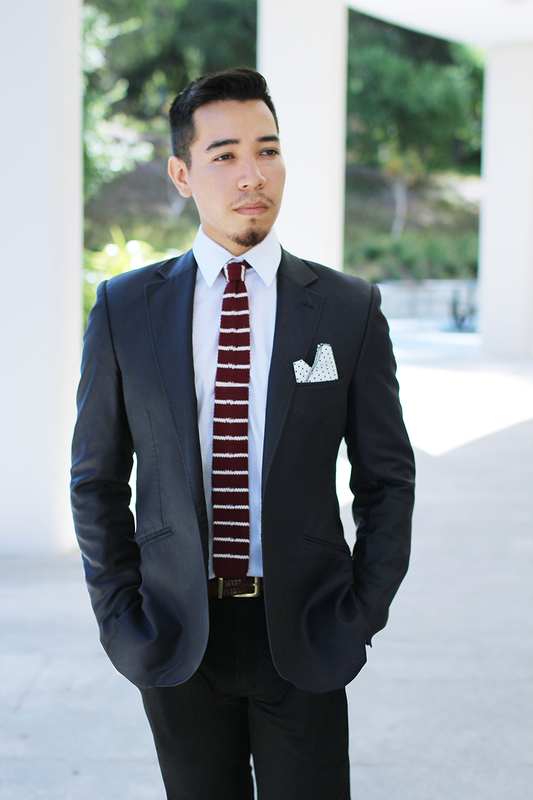 I'm always here for a knitted tie. Great look, Chris!